Compteur de seadoo spark en tres bon etat. REF 269001453. 2008 RXT 215 - Seat. 2009 RXT 215 - Seat. REAR SEAT NEW. 2007 RXT - Seat. SPECIALISTE PIECES D'OCCASION MOTOS ET SCOOTERS. REF ORIGINE 715001205. OEM REF : 715001205. ATTACHING KIT. ENSEMBLE DE FIXATION SEA DOO (BRP). GTi RFi 03-04. GTi Le RFi 03-04. SPECIALISTE PIECES D'OCCASION MOTOS ET SCOOTERS. 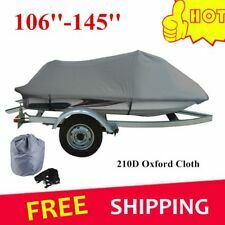 Features:Weather proof, water resistant, UV protected.Durable, Heavy Duty, Marine Grade.It fits approx 12.08ft length V-hull boat and max 145 inch beam width.Quick release buckles and strap system is easy to handle.It is resistant to mildew and UV damage.Descriptions:Double stitched seams /elastic hem.It won't shrink or stretch.Not for Cabin/Console Boats.Specifications:Material Type: 210D Oxford ClothLength: 420cm (165inch/13.78 feet)Width:300cm (118inch /9.83feet) ，fit the PWC jet ski from 136" to 145" length Color: grayPackage includes:1X Boat Cover1X storage bagNoteBeam Width: Measure the widest point of your boatCenter-line Length: Do not measure up and over windshield Marque - Sans marque/Géné. 2008 RXP X 255 - Body, Front View. 2008 RXP 155 - Body, Front View. 2008 RXP 215 - Body, Front View. 2009 RXP 215 - Body, Front View. COUVRE MOTEUR INFERIEUR. 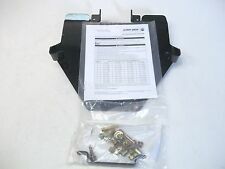 LOWER ENGINE COVER. REF ORIGINE 292001095. OEM REF : 292001095. MOUSSE DE FLOTTAISON. 2009 Wake 155 - Body, Front View. FLOAT PLATFORM. 2010 Wake 155 - Body, Front View. 2006 GTI SE - Body, Front View GTI SE. 2007 GTI 4-TEC SE - Body, Front View. POIGNEE ARRIERE. REAR HANDLE GRAP. 70x70x25cm 3kg. SPECIALISTE PIECES D'OCCASION MOTOS ET SCOOTERS. REFERENCE: 269501529. OEM REFERENCE : 269501529. LEFT FRONT MOULDING. ENJOLIVEUR GAUCHE NOIR. SPECIALISTE PIECES D'OCCASION MOTOS ET SCOOTERS. Caracteristicas:Resistente a la intemperie, resistente al agua, con protección UV.Durable, Heavy Duty, Marine Grade.Se adapta a una embarcación con casco en V de aproximadamente 12.08 pies de longitud y un ancho máximo de haz de 145 pulgadas.Las hebillas de liberación rápida y el sistema de correa son fáciles de manejar.Es resistente al moho y al daño UV.Descripciones:Costuras dobles cosidas / dobladillo elástico.No se encogerá ni estirará.No para Cabin / Console Boats.Presupuesto:Tipo de material: 210D Oxford ClothLongitud: 420 cm (165 pulgadas / 13.78 pies)Ancho: 300 cm (118 pulgadas / 9.83 pies),adaptarse al jet ski PWC de 136 "a 145" de longitudColor grisEl paquete incluye:1X. BATTERY SUPPORT. SUPPORT BATTERIE. SPECIALISTE PIECES D'OCCASION MOTOS ET SCOOTERS. SUPPORT RING. BAGUE SUPPORT. SPECIALISTE PIECES D'OCCASION MOTOS ET SCOOTERS. 2005 GTX 4-TEC, LTD SCIC - Steering System. 2006 GTX 4-TEC LTD - Steering System. 2006 GTX 4-TEC SC - Steering System. 2006 GTX 4-TEC, STD - Steering System STD. CACHE COUVRE GUIDON. STERRING COVER. NEW WITH DEFAULT. REF ORIGINE 269501822. HINGE ASSY. CHARNIERE AVANT. SPECIALISTE PIECES D'OCCASION MOTOS ET SCOOTERS. GACHETTE POIGNEE ACCELERATEUR. Throttle Handle Housing Includes 25 - 28. Throttle Handle. 2002 GTX 4-TEC, 5573/5574/5593/5594 - Steering System. 2002 GTX DI, 5563/5564/5595/5596 - Steering System. 2003 GTX DI, 6118/6119 - Steering System. REF 295100090. SAC D ANCRE SEADOO. ANCHOR BAG. SPECIALISTE PIECES D'OCCASION MOTOS ET SCOOTERS. MIRROR HOUSING RIGHT. ETAT : NEUF. SPECIALISTE PIECES D'OCCASION MOTOS ET SCOOTERS. LOWER COVER ASSY. SPECIALISTE PIECES D'OCCASION MOTOS ET SCOOTERS. MOULURE PARE-CHOC ARRIERE. REAR BUMPER TRIM. SPECIALISTE PIECES D'OCCASION MOTOS ET SCOOTERS. RIGHT SPONSON. STABILISATEUR DROIT. SPECIALISTE PIECES D'OCCASION MOTOS ET SCOOTERS. REF 269501516. 2006 RXT - Body, Front View. 2007 RXT - Body, Front View. 2008 RXT 215 - Body, Front View. 2008 RXT X 255 - Body, Front View. 2009 RXT 215 - Body, Front View. LEFT SIDE COVER MOULDING. FOR GS SEADOO FAMILY 96-99. ENSEMBLE MOUSSES DE PONT HAUTE DENSITE. HYDRO TURF. HIGH DENSITY FOAMS HYDRO TURF. SPECIALISTE PIECES D'OCCASION MOTOS ET SCOOTERS. REFERENCE : 291002324. OEM REF : 291002324. MOULURE PARE-CHOC MARRON. BROWN SIDE TRIM. SPECIALISTE PIECES D'OCCASION MOTOS ET SCOOTERS. REF : 273000300. Intercooler Outlet Hose. SPECIALISTE PIECES D'OCCASION MOTOS ET SCOOTERS. WHAT YOU SEE IS WHAT YOU BUY. 2012 RXT-X aS 260 & RS - Engine And Air Intake Silencer. 2015 RXT-X AS 260 & RS - Engine. REF ORIGINE 269500356. OEM REF : 269500356. SPECIALISTE PIECES D'OCCASION MOTOS ET SCOOTERS. CAPTEUR ACCELERATION. THROTTLE POSITION SENSOR. SPECIALISTE PIECES D'OCCASION MOTOS ET SCOOTERS. REF ORIGINE 420888550. OEM REF : 420888550. 2003 GTX DI, 6118/6119 - Crankshaft And Pistons. 2003 XP DI, 6130/6131 - Crankshaft And Pistons. 2004 XP DI - Crankshaft And Pistons. 2003 RX DI, 6122/6123 - Crankshaft And Pistons. Features:100% brand new and high quality!Weather proof, water resistant, UV protected.Durable, Heavy Duty, Marine Grade.It fits approx 12.08ft length V-hull boat and max 145" beam width.Quick release buckles and strap system is easy to handle.It is resistant to mildew and UV damage.Double stitched seams /elastic hem.It won't shrink or stretch.Not for Cabin/Console Boats.Product Properties:Type: Boat CoverColor: GreyMaterial Type: 210D Oxford ClothSepecial Features: Weather Proof, UV Protected, Water ResistantMaterial Type: Polyester FabricMaterial: Marine grade Oxford ClothSpecifications:Length: 368.3cm (145inch/12.08 feet)Width:270cm (106inch /8.8feet)Weight: 1170 gColor: grayPackage includes:1X Boat Cover1X storage bag NoteBeam Width: Measure. DEFLECTEUR AVANT CACHE. Front Deflector. ETAT : NEUF. 2014 GTI SE 155 - Body. SPECIALISTE PIECES D'OCCASION MOTOS ET SCOOTERS. WHAT YOU SEE IS WHAT YOU BUY. GOOD CONDITION. 2013 GTI 130 - Body. Features: Weather proof, water resistant, UV protected. Durable, Heavy Duty, Marine Grade. It fits approx 12.08ft length V-hull boat and max 145 inch beam width. Quick release buckles and strap system is easy to handle. It is resistant to mildew and UV damage. Descriptions: Double stitched seams /elastic hem. It won't shrink or stretch. Not for Cabin/Console Boats. BLACK LEFT SIDE MOULDING. MOULURE GAUCHE NOIRE. SPECIALISTE PIECES D'OCCASION MOTOS ET SCOOTERS. OIL SIEVE COVER. COUVERCLE "TAMIS" HUILE. SPECIALISTE PIECES D'OCCASION MOTOS ET SCOOTERS. MOUNT BASE. BASE TAMPON. SPECIALISTE PIECES D'OCCASION MOTOS ET SCOOTERS. RIGHT SPONSON COVER. 2002 GTX 4-TEC, 5573/5574/5593/5594 - Body, Front View. 2002 GTX DI, 5563/5564/5595/5596 - Body, Front View. 2003 GTX 4-TEC - Hull. 2003 GTX 4-TEC Wake - Hull. 2003 GTX DI, 6118/6119 - Body, Front View. FRONT MOULDING. ENJOLIVEUR FRONTAL. SPECIALISTE PIECES D'OCCASION MOTOS ET SCOOTERS. SEADOO GTI 130 2006-2010. CARPET RIGHT NEW. TAPIS DROIT. SPECIALISTE PIECES D'OCCASION MOTOS ET SCOOTERS. BAGUETTE DE PROTECTION LATERALE. SPECIALISTE PIECES D'OCCASION MOTOS ET SCOOTERS. AIR SILENCER UPPER. SILENCIEUX SUPERIEUR. SPECIALISTE PIECES D'OCCASION MOTOS ET SCOOTERS. STEERING NOZZLE. BUSE DE DIRECTION. SPECIALISTE PIECES D'OCCASION MOTOS ET SCOOTERS. FIXING PLATE. SUPPORT DE FIXATION. SPECIALISTE PIECES D'OCCASION MOTOS ET SCOOTERS. TAMPON INFERIEUR BATTERIE ("SILENTBLOC"). BATTERY LOWER PAD. SPECIALISTE PIECES D'OCCASION MOTOS ET SCOOTERS.